When he started MBSR, Jon Kabat-Zinn didn't have a detailed plan—just a passion and an inkling that lots of good would come of it. Now, 36 years later, he talks with us about the present and future of mindfulness. In 1979, Jon Kabat-Zinn recruited chronically ill patients not responding well to traditional treatments to participate in his newly formed eight-week stress-reduction program, which we now call Mindfulness-Based Stress Reduction (MBSR). Since then, substantial research has mounted demonstrating how mindfulness-based interventions improve mental and physical health—comparably so to other psychological interventions. 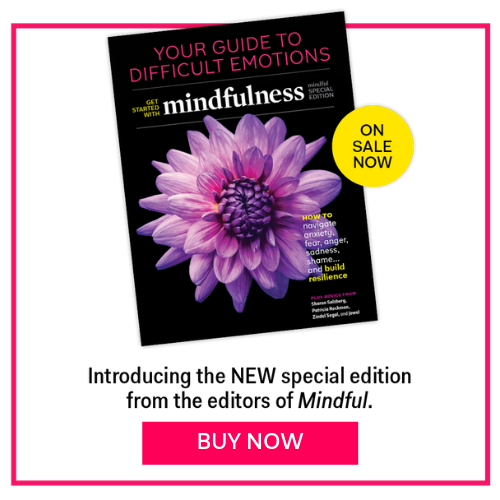 But let’s take a step back—what is mindfulness? Below, Kabat-Zinn explains how awareness helps cut through judgement. Kabat-Zinn talks about his current work, and his vision of MBSR’s purpose. Ultimately, mindfulness can help break down the “us versus them” mentality that dominates the global political scene—and we cannot become mindful nations without this key shift. It comes back to the fact that mindfulness isn’t mindfulness without “heartfulness,” Kabat-Zinn says. Kabat-Zinn speaks about trip to UK Parliament last year, and how the concept of a mindful nation is being adapted in the UK, as well as in the US by Congressman Tim Ryan (D-Ohio), author of A Mindful Nation and The Real Food Revolution.